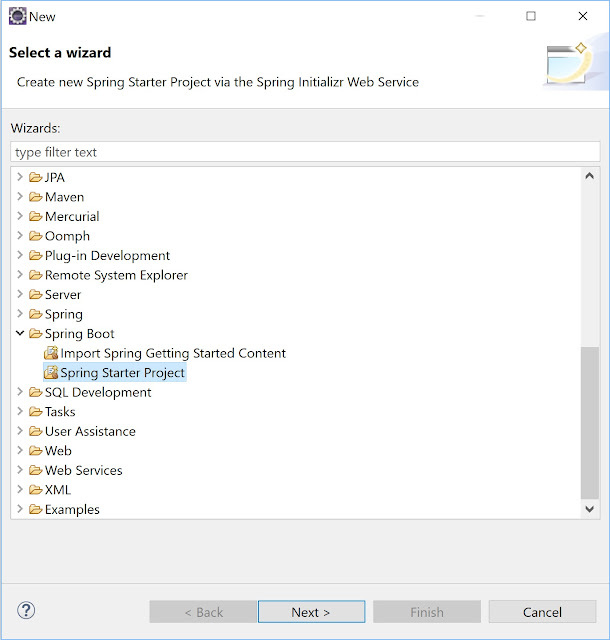 The following screenshot shows final structure of the project, Spring Batch scheduler Example. 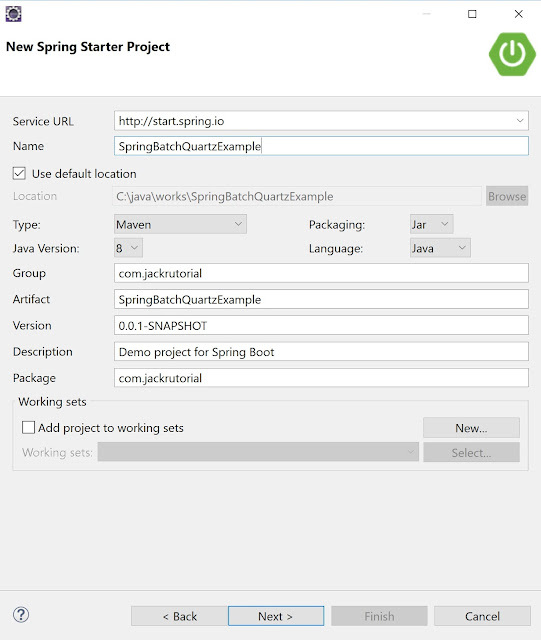 Open Eclipse Oxygen java and install the Spring Tools Eclipse - Spring Tool Suite IDE. Create a CustomItemReader class under com.jackrutorial.items package and write the following code in it. Create a CustomItemWriter class under com.jackrutorial.items package and write the following code in it. Create a BatchConfiguration class under com.jackrutorial package and write the following code in it. 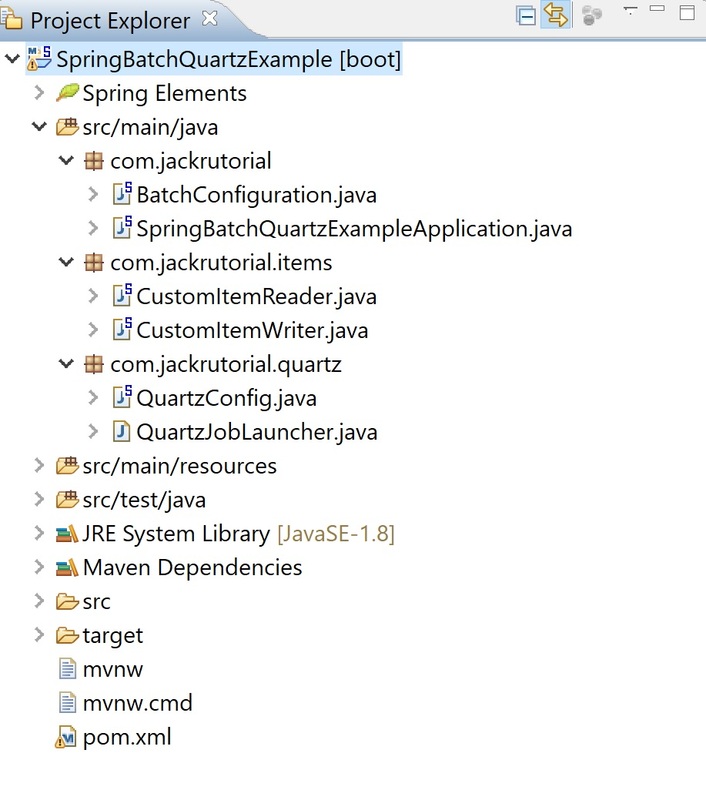 Create a QuartzJobLauncher class under com.jackrutorial.quartz package and write the following code in it. Create a QuartzConfig class under com.jackrutorial.quartz package and write the following code in it. 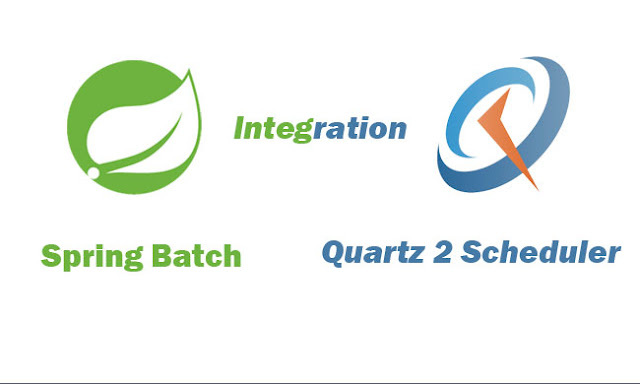 We configure Quartz CRON trigger to specify when and with which periodicity the Spring job scheduler should run. 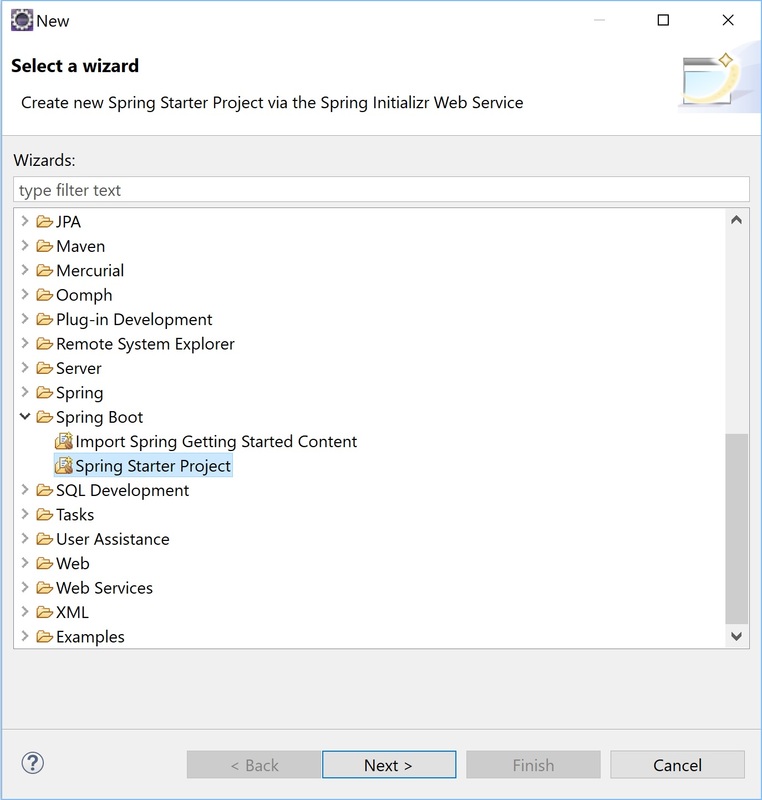 Here, the Quartz scheduler to schedule Spring job scheduler to run every 10 seconds. 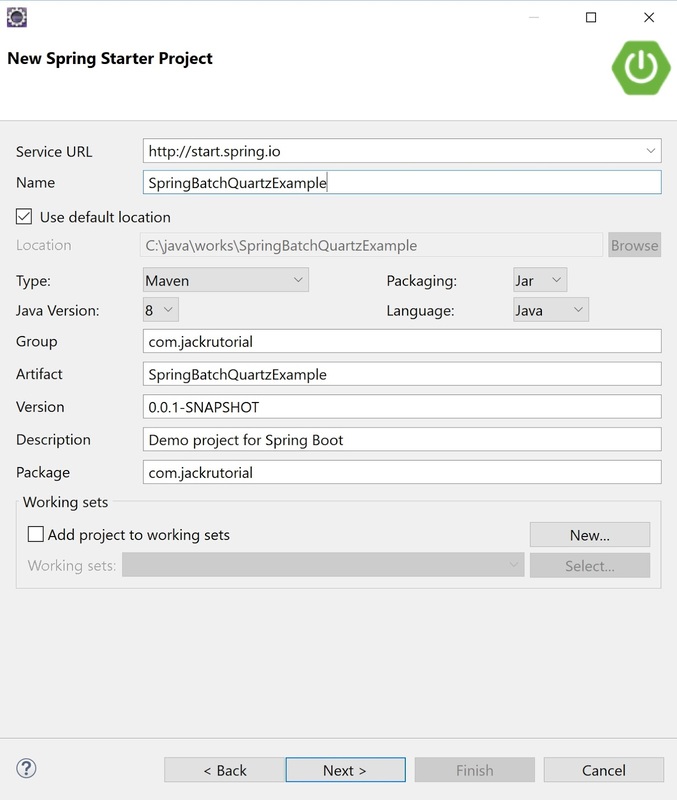 Update SpringBatchQuartzExampleApplication class under com.jackrutorial package and write the following code in it. 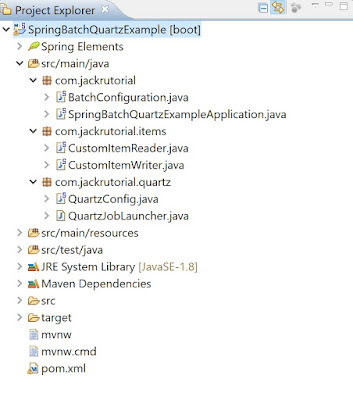 Right click to the SpringBatchQuartzExampleApplication class, select Run As -> Java Application. 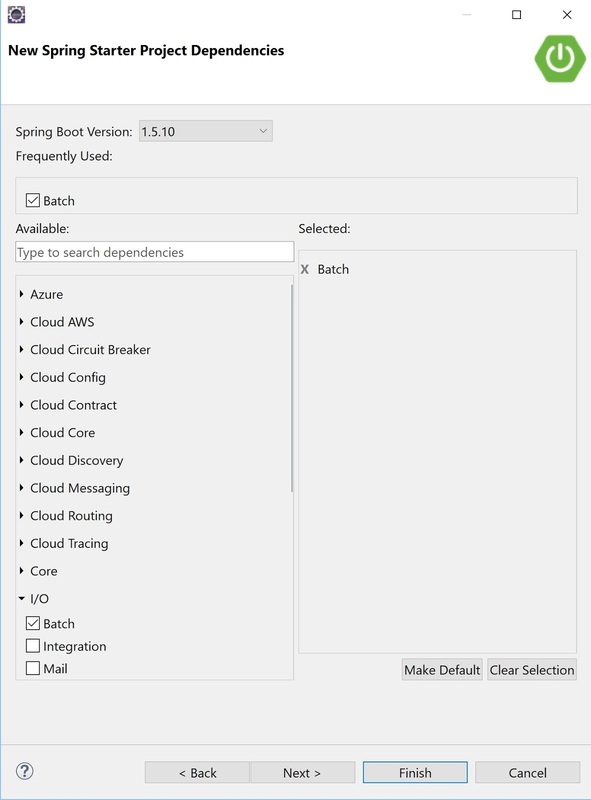 The Quartz scheduler will run the testJob every 10 seconds. 2018-03-30 00:10:52.396  INFO 33624 --- [           main] org.quartz.impl.StdSchedulerFactory      : Quartz scheduler 'schedulerFactoryBean' initialized from an externally provided properties instance. 2018-03-30 00:10:52.756  INFO 33624 --- [           main] org.quartz.core.QuartzScheduler          : Scheduler schedulerFactoryBean_$_NON_CLUSTERED started.